Joining Ben today is Dr. Jeremy Loenneke, assistant professor of Health, Exercise Science & Recreation Management at The University of Mississippi. 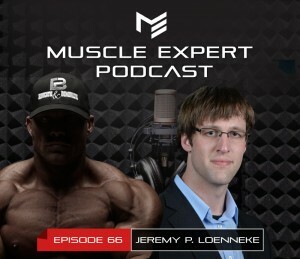 Ben and Jeremy dive deep on blood flow restriction training, the most common myths of strength and hypertrophy training and how pro athletes will be training in the near future. ⇾ The truth behind the mechanisms of hypertrophy, what you don’t know. ⇾ Is periodization better than progressive overload? ⇾ How the best athletes on the planet will be training in 10 years. ⇾ How to be a part of the new hypertrophy execution masterclass. 3:24 – Is periodization better than progressive overload? 4:00 – Hans Selye, general adaptation syndrome research. 6:10 – Ben’s approach to programming, explained. 9:35 – The glaring problem with the bigger you get the stronger you get thought process. Jeremy’s current research. 12:44 – The mechanisms of hypertrophy, what you don’t know. 29:40 – Acute changes in hormones and its influence on muscle hypertrophy. 38:00 – Blood flow restriction training, who is it for? Who is it NOT for? 45:54 – The goal of blood flow restriction training. 48:25 – Best applications for blood flow restriction training.